Mavis Wanczyk Powerball winner. It’s a name we’re going to be talking about for a long time. The 53-year-old hospital worker from Massachusetts scooped up a $758.7 million prize in the Powerball draw on August 23, 2017. It was the second highest lottery jackpot ever awarded. And it set the world record for the highest annuitized jackpot and cash value prize ever won by a single ticket. Interest in the Powerball had been growing all over the world as the jackpot sky-rocketed during a very exciting rollover series. Ticket sales were brisk, and you could even buy Powerball tickets online to participate in the draws. There was expectation that the lottery would set a new record by surpassing the $1.58 billion jackpot awarded by Powerball in January 2016. But that was not to be. The only winning ticket proved to be Wanczyk’s. Once she knew that she had won the jackpot, she immediately called the hospital where she worked and told them that she was quitting her job. 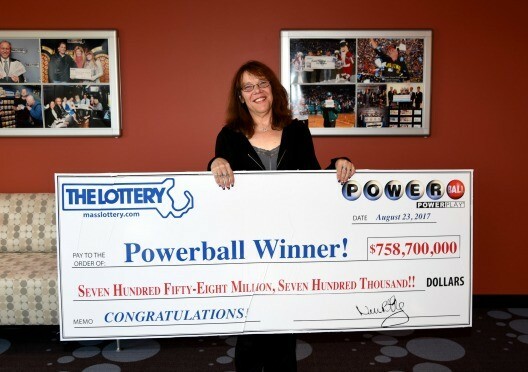 Mavis Wanczyk Powerball winner – who is she? “My pipe dream came true!” Wanczyk declared at a press conference staged by the Massachusetts Lottery just one day after the draw. It was quite unusual for a jackpot winner to go public so soon after a draw. Wanczyk chose to take the lump sum cash payment of the prize. After taxes, her check will amount to $336,350,655. Wanczyk purchased five tickets for the Powerball draw. Two of them were computer-generated quick picks, but on one of her tickets she used numbers relating to family birthdays as well as her lucky number 4. 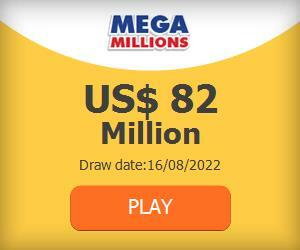 Media all over the world have reported on this incredible jackpot win. Furthermore, Wanczyk and her story are now well-known both to lottery fans and to anyone who fantasizes about living a dream, with no financial worries. The latest news is that Massachusetts police are increasing security around Wanczyk’s home. Officials have warned that there are social media scammers impersonating her. Apparently everyone is jealous of the big win and there are those who are attempting to steal her identity and collect some of the prize. As a result, Mavis make sure you are careful out there! Play the next Powerball draw! After all, maybe you could win the jackpot and you can find yourself in the media spotlight!